At the celebration and blessing of the St. Joseph Statue that was once housed at the Hotel Dieu Hospital on Ontario Street, Mountainview Group donated an amazing $750,000 to the hospital’s Foundation. For 64 years, the St. Joseph Statue stood guard over the Ontario Street hospital site, looking down on all who entered the hospital’s front doors. The stone sculpture was installed during the construction of the 125-bed Hospital in 1952. 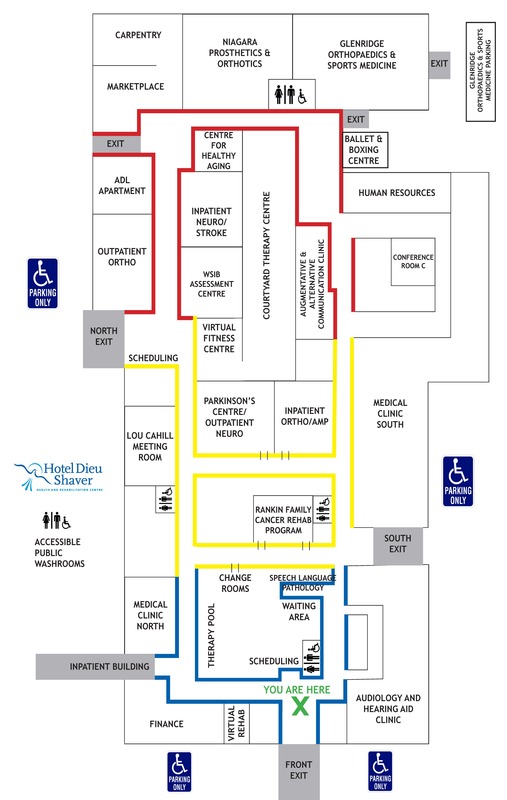 When Walker Environmental Group and Mountainview Homes initially purchased the Hotel Dieu site, they were requested by the hospital staff to ensure that the St. Joseph sculpture be removed and brought to Hotel Dieu Shaver Health and Rehabilitation Centre – a task they took very seriously. Thanks to the generosity of Mountainview Homes and Walker Environmental Group the St. Joseph sculpture was safely transported to Hotel Dieu Shaver. Coincidently, Rankin Construction was on a tour at Hotel Dieu Shaver and was questioned on the best method to install the sculpture. Rankin Construction took it upon themselves to pour the concrete and fasten the sculpture to its current location. 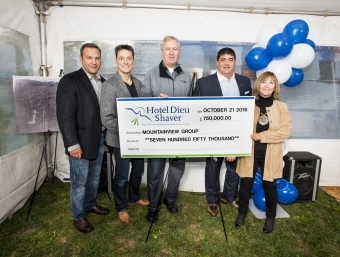 Following the blessing of the St. Joseph Statue performed by Bishop Gerard Bergie, Mark Basciano, President of Mountainview Group presented the Hotel Dieu Shaver Foundation with a cheque for $750,000. The funds will be used to fulfill the yearly equipment needs of the hospital. 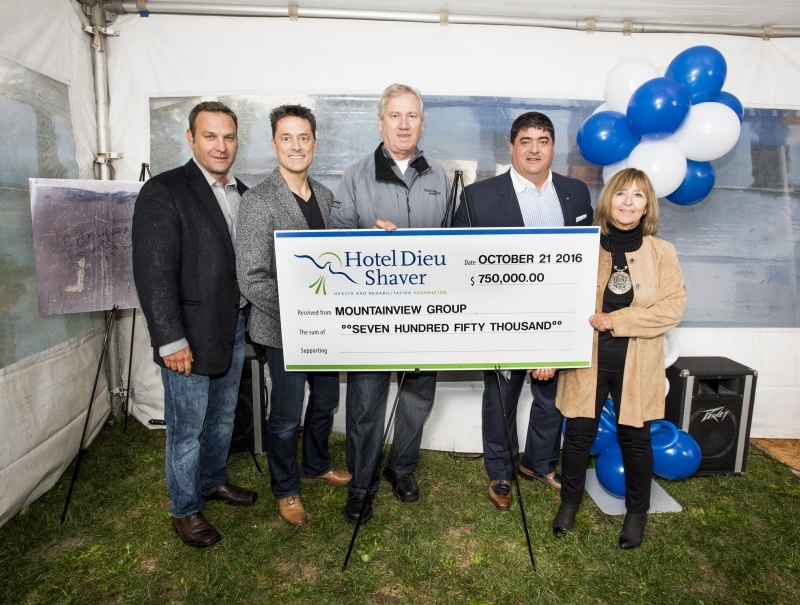 The $750,000 donation is the largest donation ever received by Hotel Dieu Shaver Health and Rehabilitation Foundation and the largest donation Mountainview Group has given to one organization.